Ahem, it may be thanks to Woodrow Wilson establishing the holiday in 1911, and it has since spread to other countries. BUT we may not technically be the first country to celebrate moms though (sorry, have a seat please), and not all places celebrate Mother’s Day the same. One of the most similar celebrations is probably “Mothering Sunday” in the UK. This day, the fourth Sunday after Lent, has been around much longer than Mother’s Day, so maybe the U.S. should calm down. Back in the 17th Century Mothering Sunday was established as a day of reverence for the Virgin Mary. It has now meshed with Mother’s Day and is celebrated with cards, flowers, and expressions of love. There is such a thing as a Mothering cake, which is a rich almond cake. In Canada Mother’s Day is celebrated the same day it is in the U.S., the second Sunday of May. However, it seems to be a much bigger deal there. Phone traffic is at yearly high, card and candy sales sky rocket, and again, cakes are baked for mothers. No mothers allowed in the kitchen on Mother’s Day. Australia also has very similar customs for their mothers. Also celebrated the same day as the U.S., Brazil celebrates mother’s the second Sunday in May. They exchange cards and words of affirmation for their mothers. But it seems the sweets flow aplenty in Brazil on Mother’s Day. Businesses stock up on pastries, baked goods, and candies. Gifts are a general staple to the day and recently there has been a trend in giving (and wanting) electronic gifts for Mother’s Day like tablets. Ethiopia kind of puts us all to shame, they celebrate mothers for three days instead of one. Antrosht, as it is known, creates a time of remembrance and celebration with a large feast. Daughters bring vegetables, butter, and cheese, while boys will bring some kind of meat. The mother then prepares “hash” that the family enjoys together. There are special songs for the day and bonding, especially between mothers and daughters. 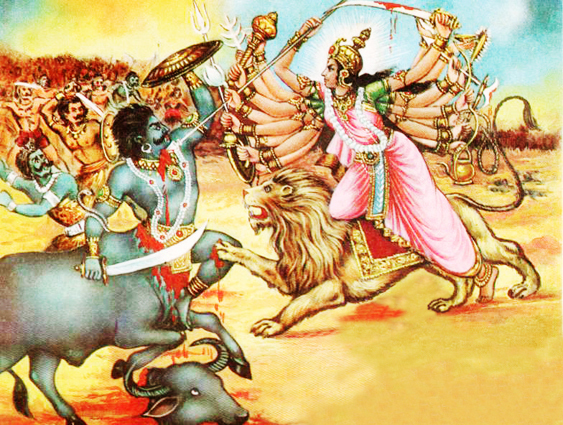 defeat over Mahishasura. All women are celebrated at this time and mothers seem to be extra appreciated. This event is very detailed in nature but I will at least say there are statues erected, parades, music, dancing, and plenty of rituals. Food is also a huge part of Durga Puja. Probably the creepiest Mother’s Day tradition I have found has to be Yugoslavia. I would love to know if anyone knows if this still goes on, but apparently the tradition is that the children sneak into their mother’s room, tie her up, and she has to tell them where gifts are hidden in order to be released. Not a fan, js. Not at all thanks so much for sharing!